Female dovetail rubber 1928-31. The rubber bumper that is used inside the A-61412-A dovetail. There are 2 of these bumpers in each dovetail. Made in USA. Female dovetail 1931. This style of dovetail was used on the Slant Windshield Cabriolet, Victoria & A-400. Made in USA. Female dovetail assembly 1928-31. The complete dovetail assembly with the rubber and the metal clip installed. It fits all Briggs 4-doors, 1928-29 Town Car, 1929, and 1930 Cabriolets. Made in USA. Dovetail wedge and spring 1931. The wedge & spring for the female dovetail of Slant Windshield cars. Need 2 sets per dovetail. Made in USA. 6-hole male dovetail 1928-31. The 6-hole mount male dovetail was used on almost all of the 4-door sedans, and on some Cabriolets. Chrome. Made in USA. Male dovetail for the 1928-31 model A, to align the door when it is shut. Chrome plated. The two hole style dovetail was used on the Coupes, Tudor sedan, Roadsters, Phaetons, and 1930-31 Trucks. 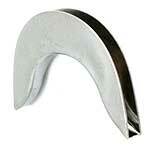 Order the appropriate door bumper kit, for the parts that this dovetail fits in to. Male dovetail screws 1928-31. Set of 4 machine threaded screws that held the A-76819-A dovetail to the door jam. 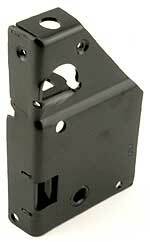 Used on any car or truck that is using the A-76819-A dovetail. This was screwed to the door post wood and is drilled/tapped for the screws that hold the dovetail in place. Made in USA. Rear door dovetail 1931. 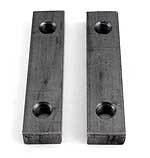 This style of male dovetail was used on the rear doors of the 1931 Slant Windshield 4-doors. Slant windshield dovetail 1931 left side. This is an offset male dovetail for all of the slant windshield A's. Fits front foors of the slant windshield 4-doors. Slant windshield dovetail 1931 right Side. This is an offset male dovetail for all of the slant windshield A's. Fits front foors of the slant windshield 4-doors. Closed car door latch 1928-29 right Side. 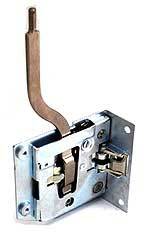 The very best latch on the market today. All top quality US made. Fits 1928-29 Coupe and Tudor sedan. Closed car door latch 1928-29 left side. 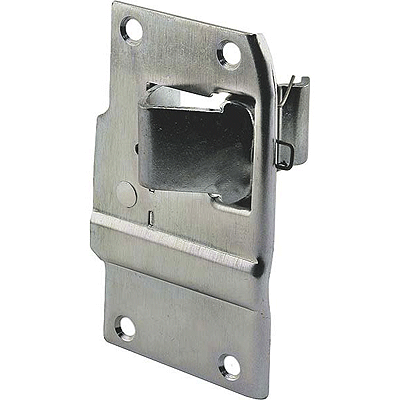 The very best latch on the market today. All top quality US made. Fits 1928-29 Coupe and Tudor sedan. This left side latch, has the mechanism for the inside slide lock. Closed car door latch 1930-31 right side. 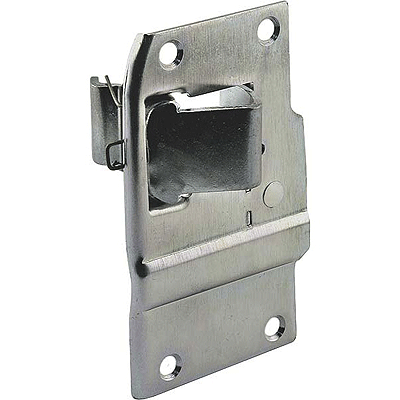 The very best latch on the market today. All top quality US made. Fits 1930-31 Coupes, Tudors and the 30-31 Trucks. Closed car door latch 1930-31 Left Side. 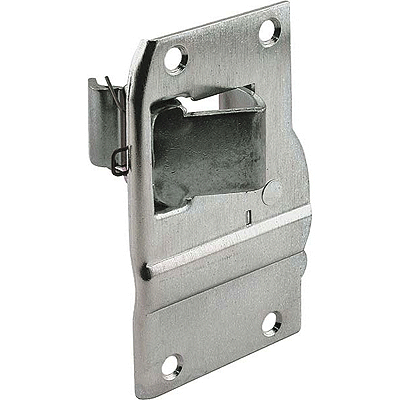 The very best latch on the market today. All top quality US made. Fits 1930-31 Coupes, Tudors and the 30-31 Trucks. This left side has the slide lock mechanism in it. Latch screws set 1928-31. Screws to mount the door latch in the door on Coupes, Tudors and Pick-ups. One set does both latches. Made in USA. These are new American made latches that fit the 1928-29 Closed Cab Truck as well as the 1926-27 Model T Coupe and Tudor Sedan. 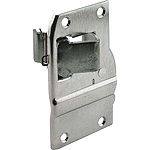 The latch body is zinc plated and the actuating arm is nickel plated as was the original. The latches function just like the originals, the driver's side will lock and the passenger side has provisions for the lock cylinder. Latch wood for the 1928-31 model A Ford. This part originally was made of hard rubber. It mounted vertically about half way up the door post. Used on 1928-31 Coupe, Tudor and 1930-31 Pickup. Complete wood kit for the door post on the 1928 - 1929 Model A Ford Coupe. Note: Does not include the AWD-DLC latch wood set. This is the special door latch rivet that is tubed at the one end. They hold the flipper to the latch assembly. Fits 1928-31 Model A Ford Coupe & Tudor sedan, plus the 1930-31 Closed cab truck. 4-dr latch rivets 1928-31 Diamond Logo. Special rivets required to repair 1928-Early 31 4-drs except S/W. Swiss pictured. 4-dr latch rivets 1928-31 Swiss. Special rivets required to repair 1928-Early 31 4-drs except S/W. Swiss pictured. Set does one latch. Set of 3. 4-door latch dog 1928-31. Only used on 4-door sedans with the exception of slant windshield 4-doors. This is the part of the latch that twist when you turn the short lock knob to lock the door. Made in USA. Door spring set 1928-31. All the springs in the doors. One set is enough for both right and left side latches. 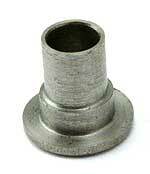 Used on the 28-31 Coupes, Tudors and 30-1 Trucks. Made in USA. 4-door latch spring kit for the 1928 to Early 1931 Left Front or Right Rear Door Swiss. 3 springs, 3 rivets. 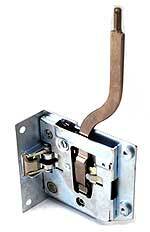 Fits latches manufactured by Swiss. Fits 28-Early 31, (not Slant Windscreen). Kit does one door. 4-door latch spring kit for the 1928 to Early 1931 Right Front or Left Rear Door. 3 springs, 3 rivets. 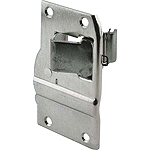 Fits latches manufactured by Swiss. Fits 28-Early 31, (not Slant Windscreen). Kit does one door. 4-door latch spring kit for the 1928 to Early 1931 Left Front or Right Rear Door with Diamond Logo. 3 springs, 1 rivet. Fits latches with diamond shaped logo. Fits 28-Early 31, (not Slant Windscreen). Kit does one door. 4-door latch spring kit for the 1928 to Early 1931 Right Front or Left Rear Door with Diamond Logo. 3 springs, 1 rivet. Fits latches with diamond shaped logo. Fits 28-Early 31, (not Slant Windscreen). Kit does one door. Door handle spring 1930-31. For the door opening mechanism that had the twist style door opener. Used on 68C Cabriolet, 160-A,B,C Slant Windshield 4-doors, 30-1 Victoria, and A-400. This repair kit contains all of the springs and reivets that are needed to repair the driver and passenger side door latches for the 1926-29 Closed Cab Pickup Trucks. Door latch rods and mounting plate kit for the 1930-31 Coupe. These are the 11 3/4" rods that run from the middle of the door over to the door latch. 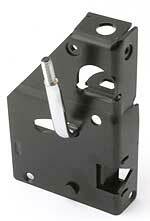 Kits include the mounting plates which are also available seperately. Full set for both doors. Door latch rods and mounting plate kit for the 1928-29 Coupe, Tudor Sedans and 1930-31 Pick-ups. These are the 12 3/4" rods that run from the middle of the door over to the door latch. 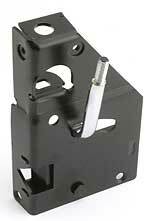 Kits include the mounting plates which are also available seperately. Full set for both doors. Door latch rods clip set. These are the mounting plates seperately. Four clips and screws. This is new tooling, made with the correct height per the original blue print. Set includes one striker plate and two 1/4-20 x 1/2 round head screws and washers. Fits Model A Ford 1928-31 Coupes, 1928-31 Tudors and Mid 1930-31 Pickups. The screws for mounting the A-46137 striker to the door jam. One kit does both driver and passenger side. Made in USA. Model A Ford 160-A,B,C slant windshield 4-door sedan. 1932-34 closed car (except the 1932, 3 window coupe). Striker nut plate 1931. Goes on the back side of the door post and is what the screws that anchor the striker plate thread into. Used on the 160-A, B & C slant windshield 4-door. Made in USA. for the striker. Set of 2. Made in USA. Male dovetail 1930-31. 6-hole mount style was used on the 30-1 Deluxe Phaeton, 30-1Panel Delivery, 30-1 AA Panel Delivery, and 30-1 Panel Delivery with drop floor. Made in USA. Striker plate for the 1928-31 open cars. This part fits on the door post and is what the door latch latches on. Fits all open body styles except the Deluxe Phaeton. An exact copy of the original Ford part. Striker mount set 1928-31. The bolts necessary to mount the open car striker in the door jam. 1 kit does both sides. Made in USA. Deluxe Phaeton Striker for the 1930-31. This striker was unique to Deluxe Phaeton. Comes with long mounting screws. One set is enough strikers and hardware for both doors. Set of 2. Made in USA. 1928 Door latch Left. 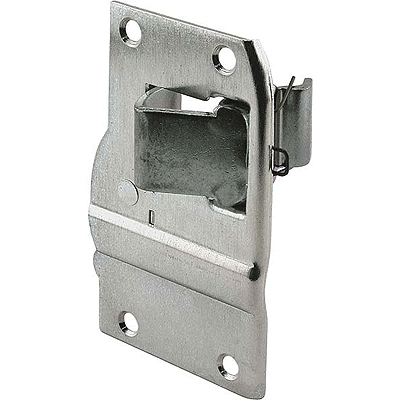 This is the latch for the 28 style open car or truck that has no external door handle. 1928 Door latch Right. 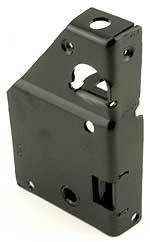 This is the latch for the 28 style open car or truck that has no external door handle. Chrome plated door knob for the 1928-29 Closed & Open Cab Pick-up and 1928 Roadsters and Phaetons. Open car door latch Left 1928-31. This style of latch was used on any of the 1928-31 style of open car doors that did have an external (outside) door handle. Open car door latch Right 1928-31. This style of latch was used on any of the 1928-31 style of open car doors that did have an external (outside) door handle. Open car latch screws 1928-31. Set of special flat headed countersunk screws to mount the latch in the door. One set does both sides. Made in USA.